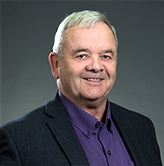 Don is a Realtor with almost 40 years real estate experience which includes countless residential and rural sales. 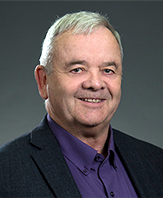 His past work history includes new home building, new subdivision development, land subdivisions, investments and on-going training all of which have contributed to his wealth of experience and in-depth knowledge that is second to none. He has also lived through many economic cycles of growth and downturns enabling him to provide solutions and expert advice to his clients. He is the Re/Max Broker for Crossfield, Carstairs, Didsbury and Olds and serves Calgary and surrounding areas as well. He is in the business of long-term relationships and sharing his expertise. Don’s passion is helping people move forward on their journey and looking out for their interests. He focuses on personalized service, a no pressure environment and delivering results. His motivation comes from helping his clients be successful in reaching their goals. He grew up in Crossfield and is a husband, father, grandfather and an avid hockey fan. Don supports numerous charities and community organizations. He treats his clients the way he would want his family members to be treated. Give Don a call. He would love to help you out.